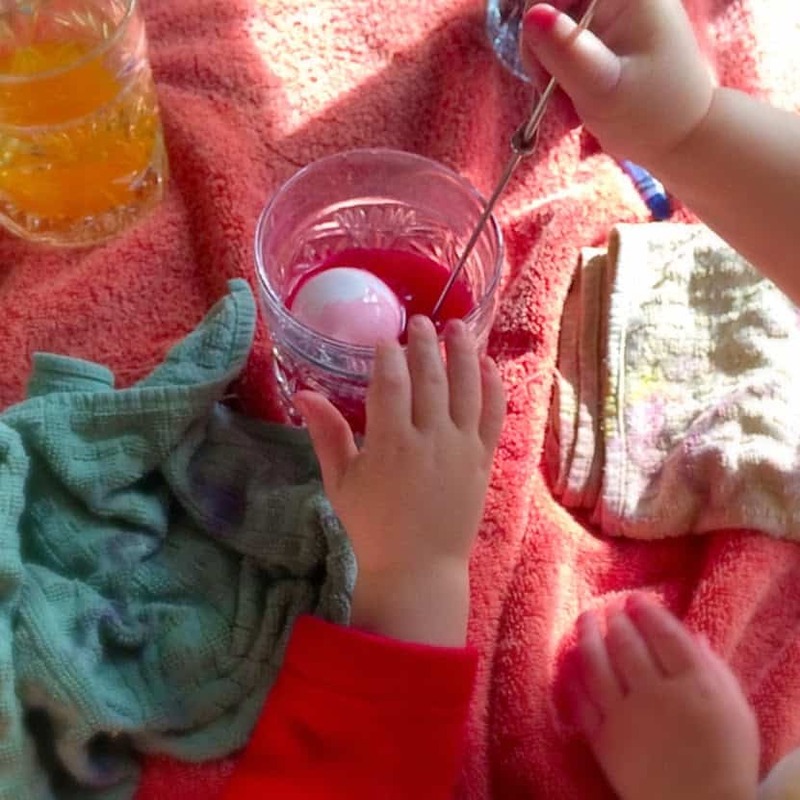 Take the guesswork out of Easter egg decorating using natural dyes with these simple step by step instructions. 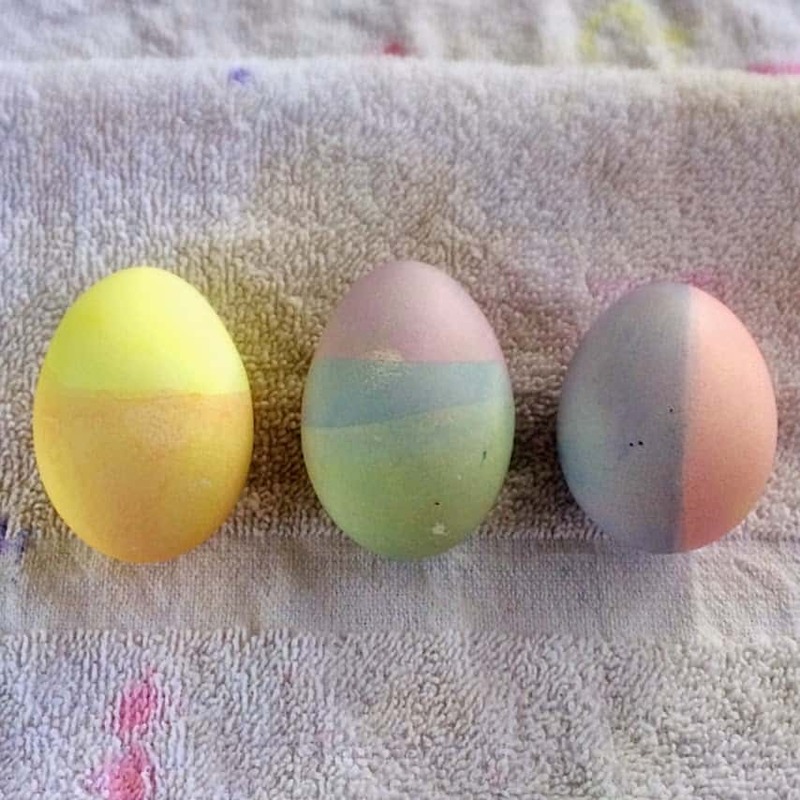 You’ll get beautifully dyed Easter eggs without all the hassle. 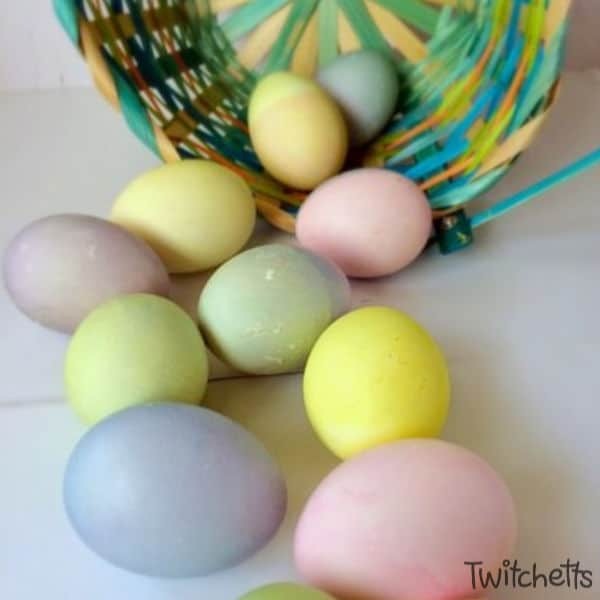 I did a quick Pinterest search for Easter egg decorating using natural dyes. 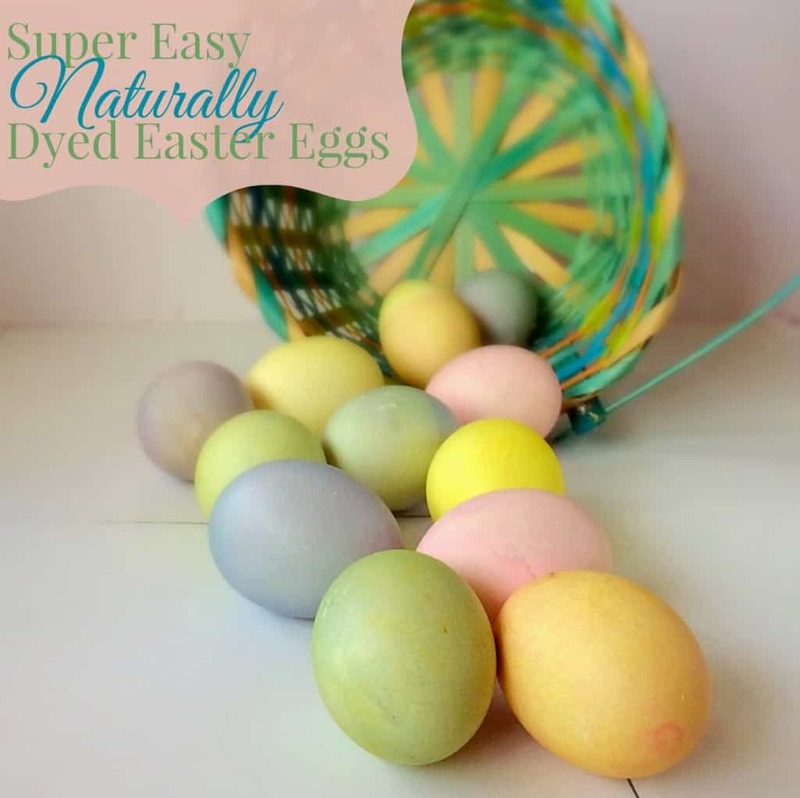 I got a bunch of fantastic looking tutorials that included about 50 different vegetable dyes. Some were baked. Some boiled. All would be amazing. But, I’m working with young children here. I want easy. As easy as those cheap boxes you can get at every store on the planet. 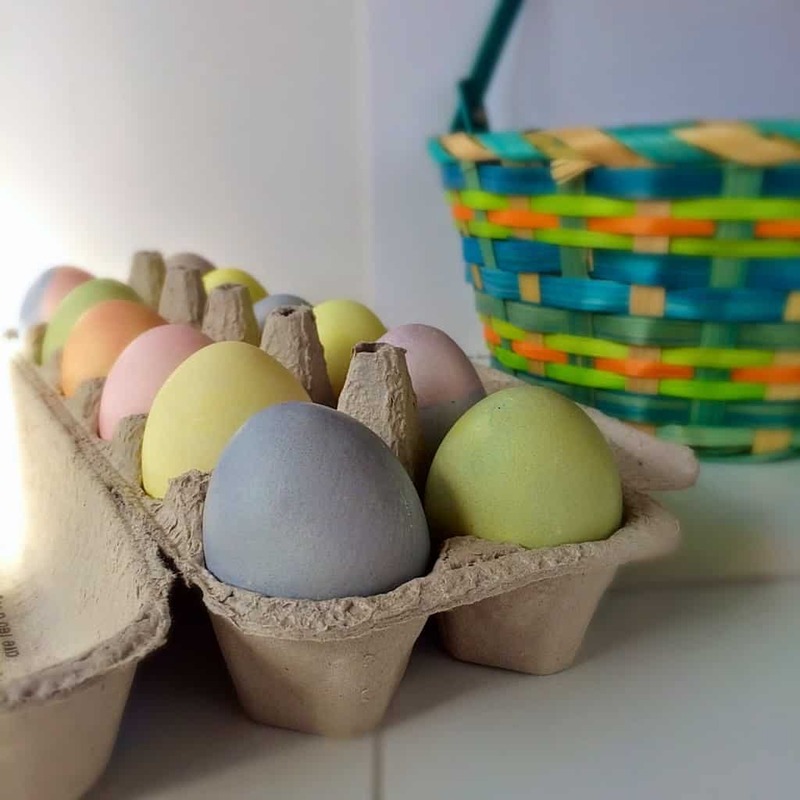 I think the part that makes all the other posts about natural dyes for eggs so difficult is they try to make every color. I’m good with 3. You know, the main three. Red, Blue, and Yellow. I wanted something with simple ingredients and minimal prep time. Start by boiling your water. While that is going, pour 1/4 cup vinegar into 3 glasses. In a liquid measuring cup, add the beet powder. Pour 1/2 cup of boiling water over the beat powder and mix until dissolved. Next, pour the beat water into one of the glasses of vinegar. Rinse out your measuring cup and repeat with the turmeric. 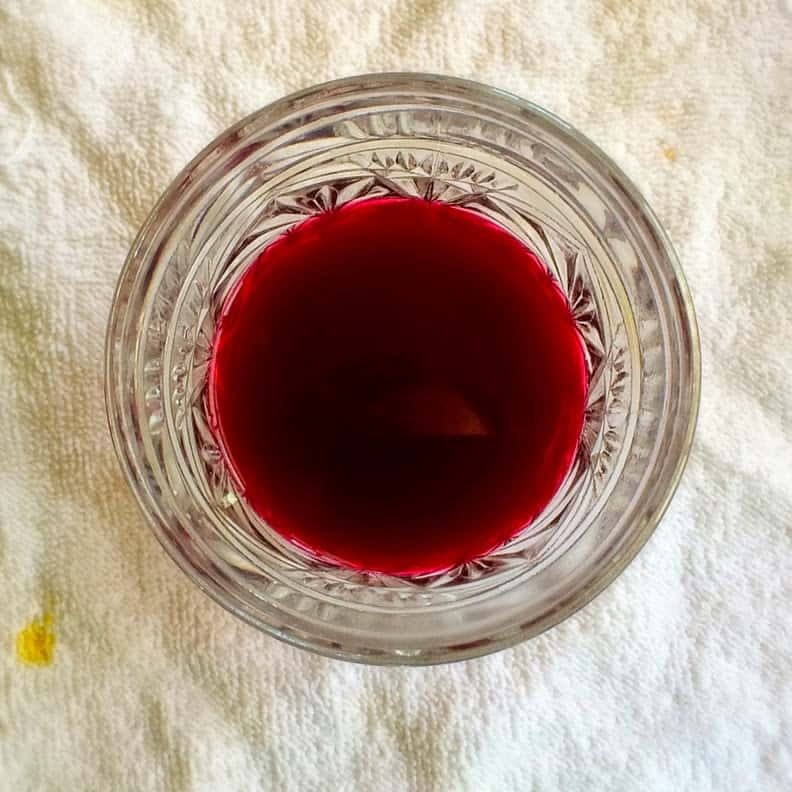 The turmeric doesn’t dissolve as well as the beet powder, but it still works really well. Next, add the quarter cup blueberries to the remaining boiling water and return it to the stove. Cook until berries have burst. Quickly stir in the baking soda and remove from heat. Strain the blueberries into the measuring cup until you have a half cup. Add it to the last glass of vinegar. You’ll get a fun little fizzle. I know the blueberry looks red, but trust me, it makes blue. 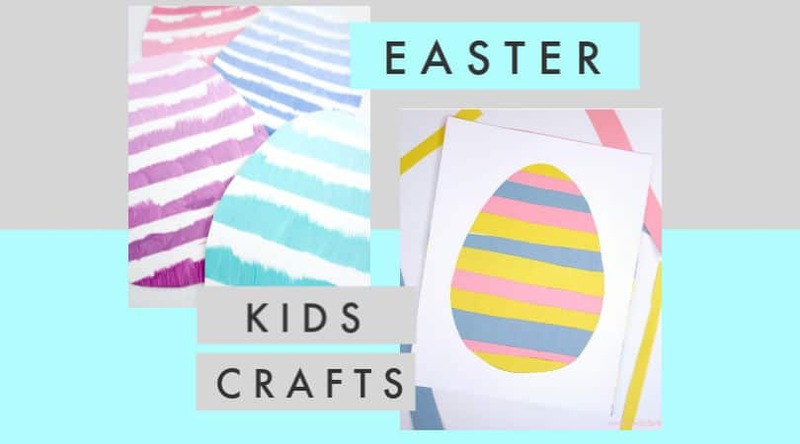 Enjoy the Easter Egg Decorating! 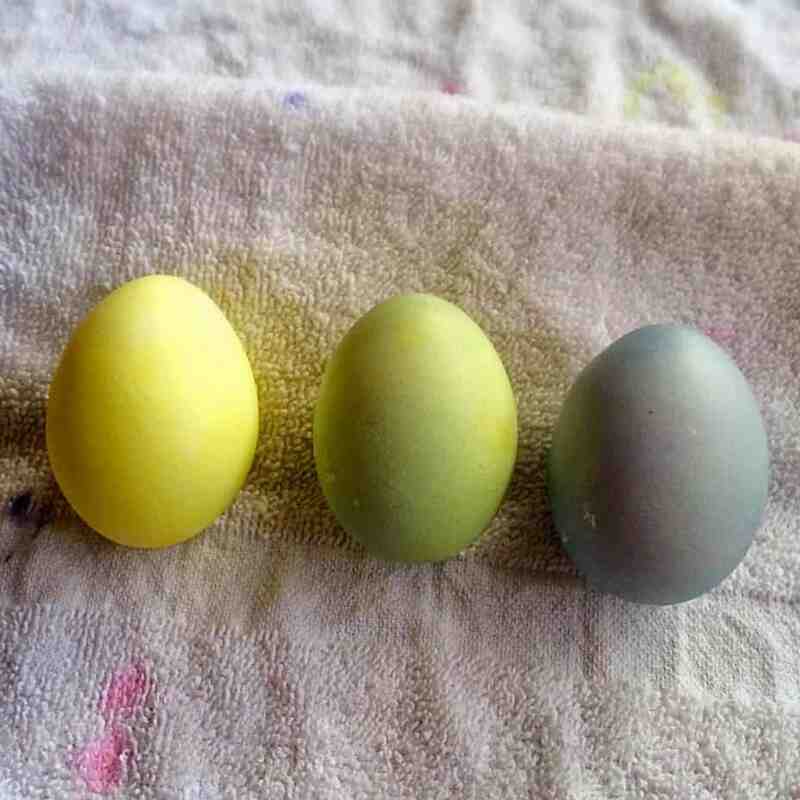 The natural blue dye is my favorite. 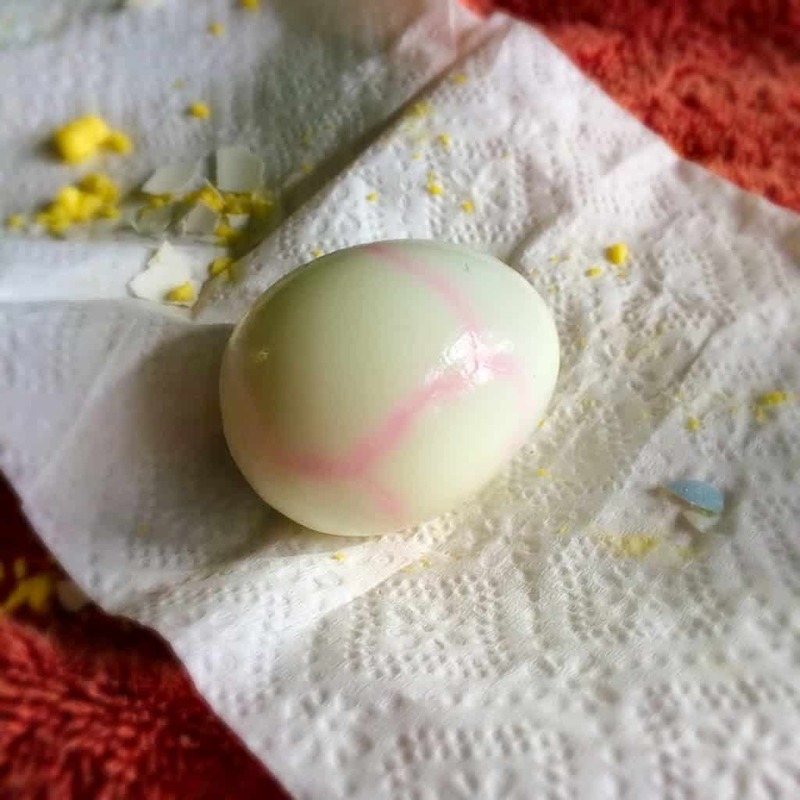 When you first take it out of the dye, it still looks a little pink. But as it drys it turns into a beautiful shade of blue. 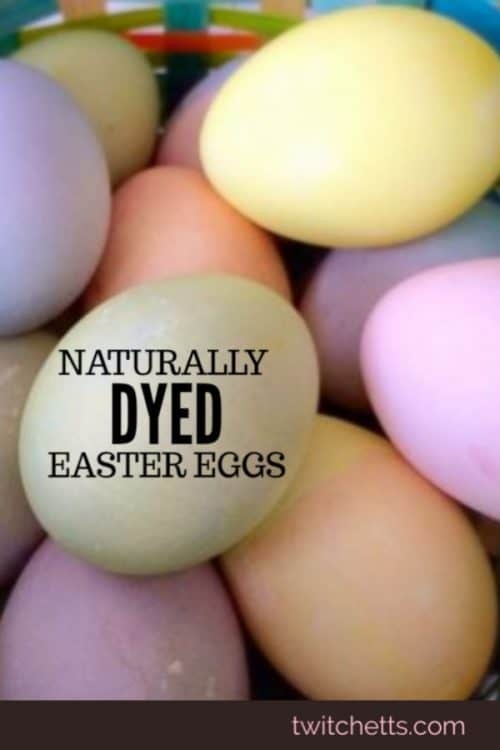 If you’re not convinced on why you should use natural egg dyes, here’s some info for you. 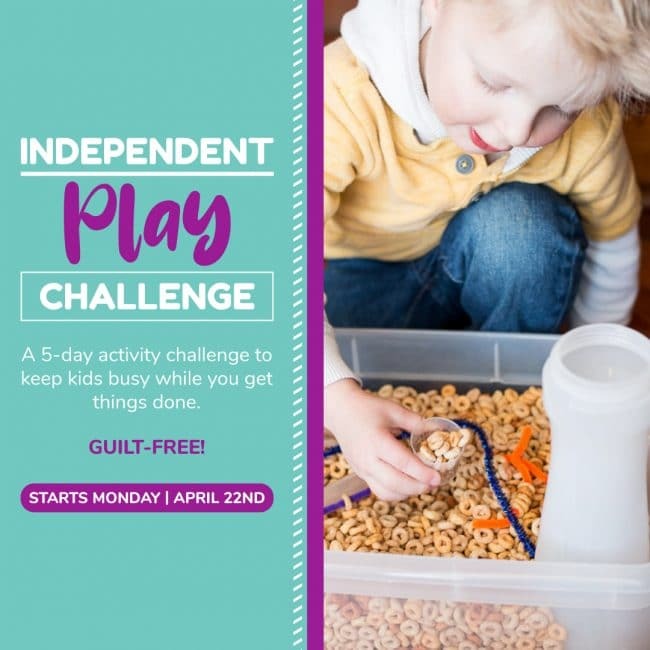 Sodium bicarbonate, maltodextrin, FD&C Yellow #5, cellulose gum, FD&C Blue #2, FD&C Blue #1, FD&C Red #40, FD&C Yellow #6, FD&C Red #3, magnesium stearate, zinc stearate, sodium lauryl sulfate, silicon dioxide. And now you’re thinking that you’re just dying the outside…but you’re not. 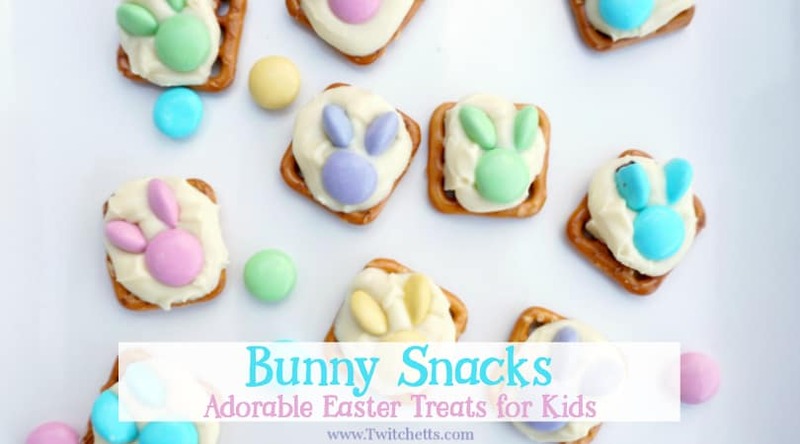 Let them enjoy the pink without worry. 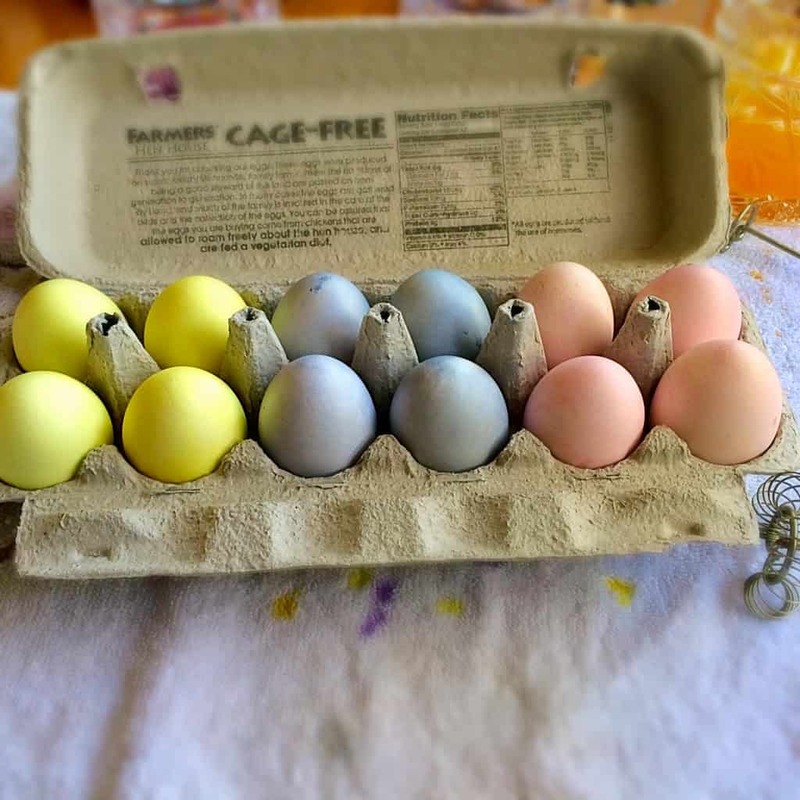 Plus, it’s so much fun to watch the blue eggs change as they dry. 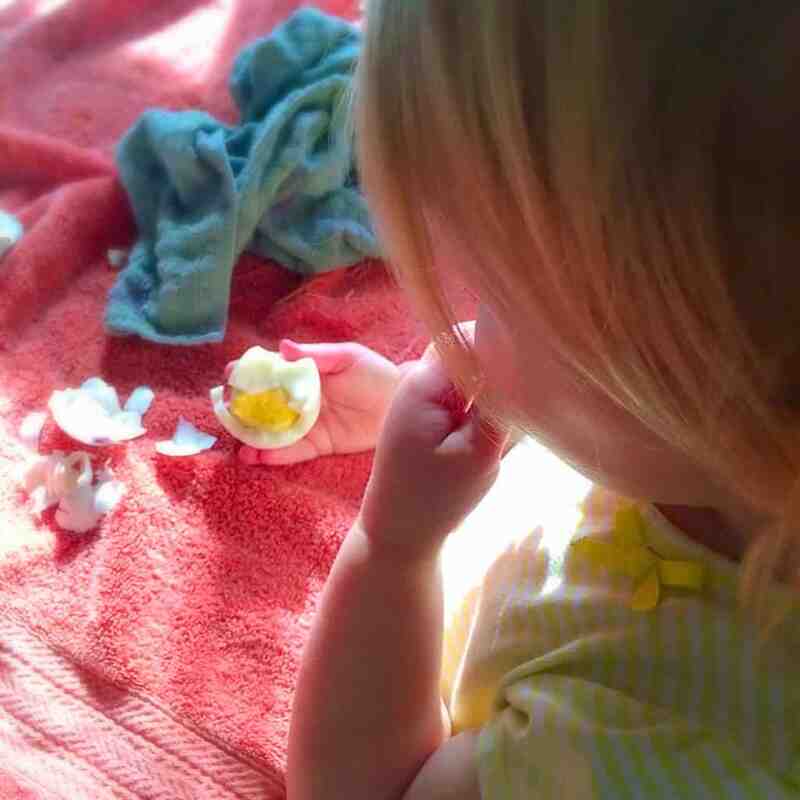 And I loved the look on Little Miss’ face when she learned that when you put a yellow egg in the blue dye it turns green. 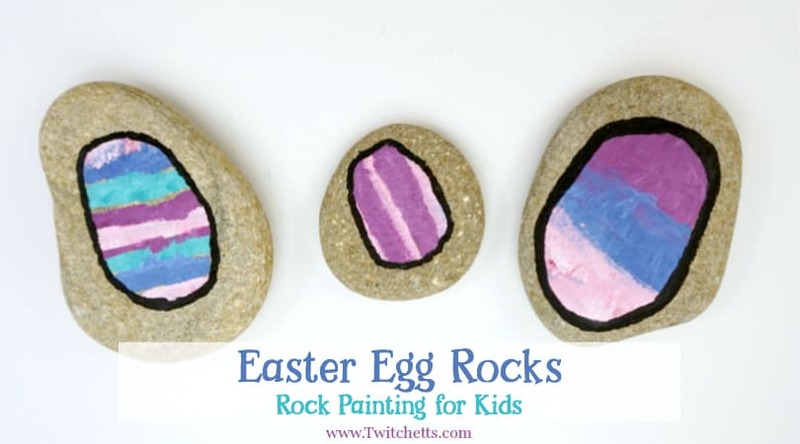 I’m looking forward to next year when we can experiment with fun decorating ideas. Easily make naturally dyed Easter eggs! 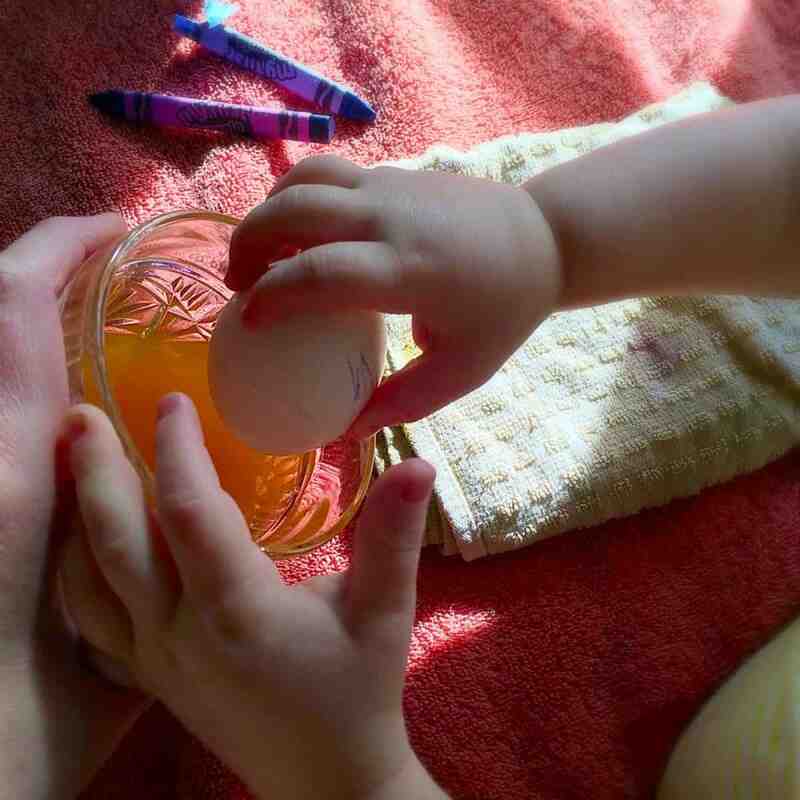 3 glasses large enough to fit an egg into. 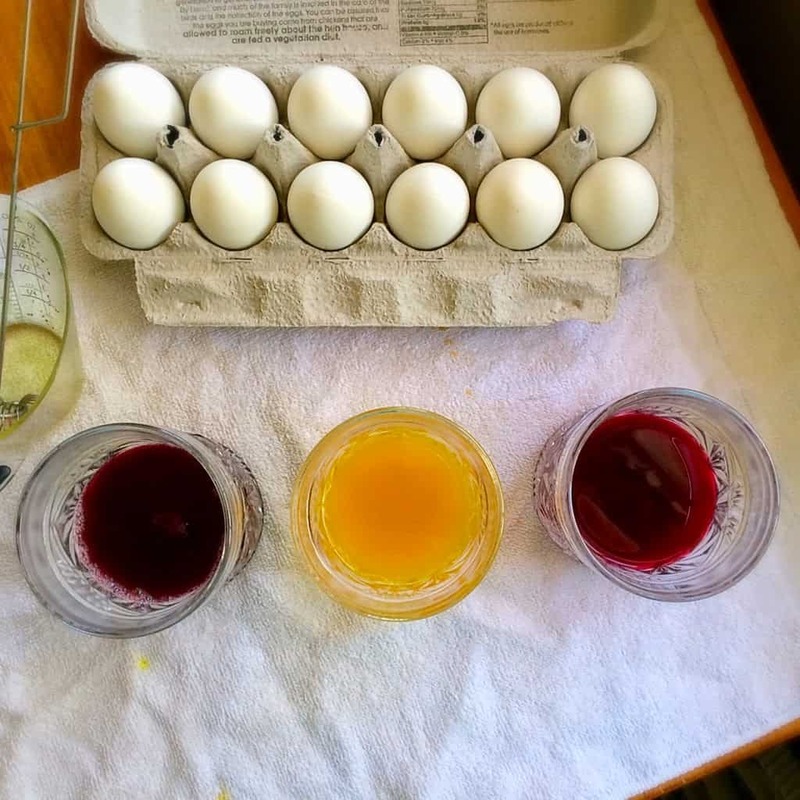 While that is going, pour 1/4 cup vinegar into 3 glasses. 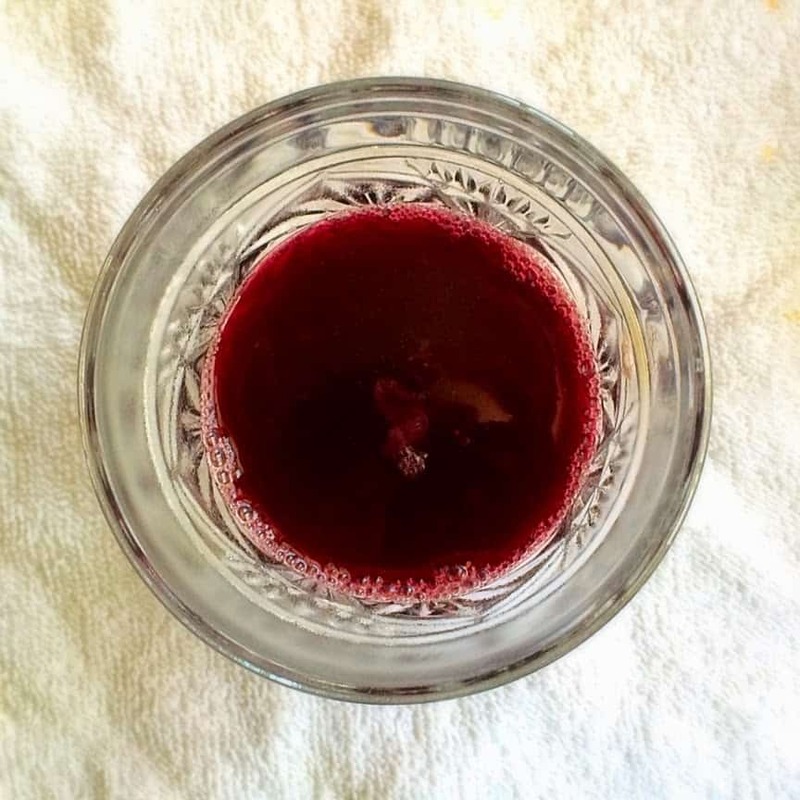 In a liquid measuring cup, add the beet powder. Pour 1/2 cup of boiling water over the beat powder and mix until dissolved. Next, pour the beat water into one of the glasses of vinegar. 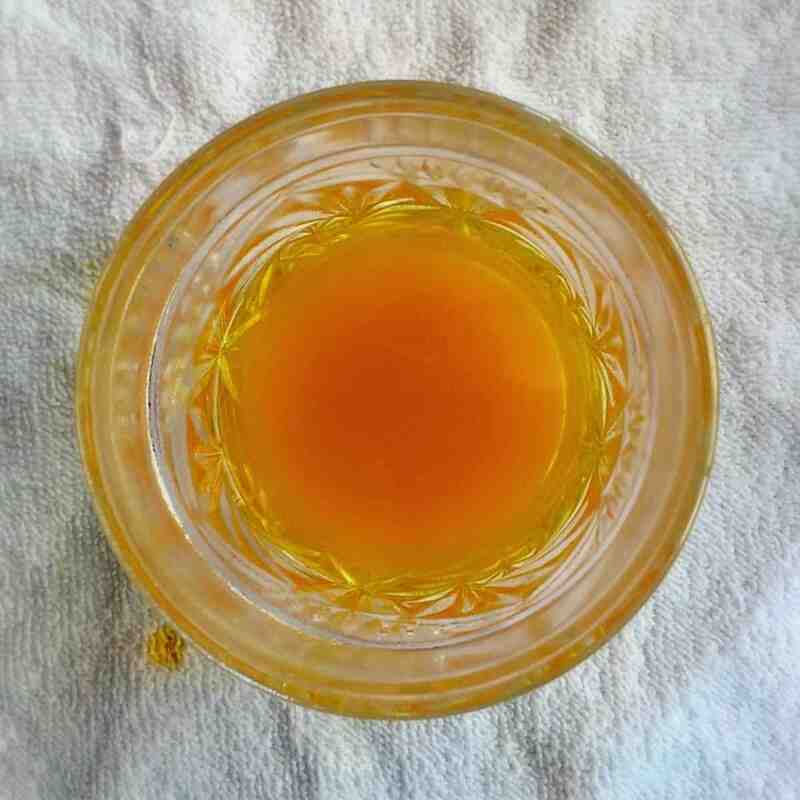 Rinse out your measuring cup and repeat with the turmeric. Add the quarter cup blueberries to the remaining boiling water and return it to the stove. Cook until berries have burst. Quickly stir in the baking soda and remove from heat. 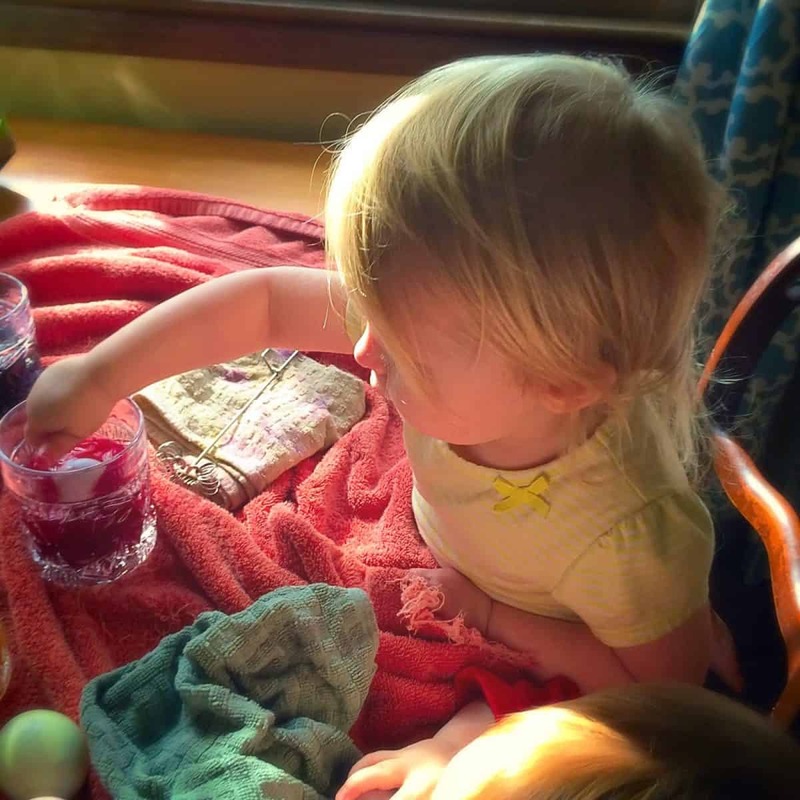 Strain the blueberries into the measuring cup until you have a half cup. Add it to the last glass of vinegar. You'll get a fun little fizzle. The blueberries looks red, but trust me, it makes blue dye. 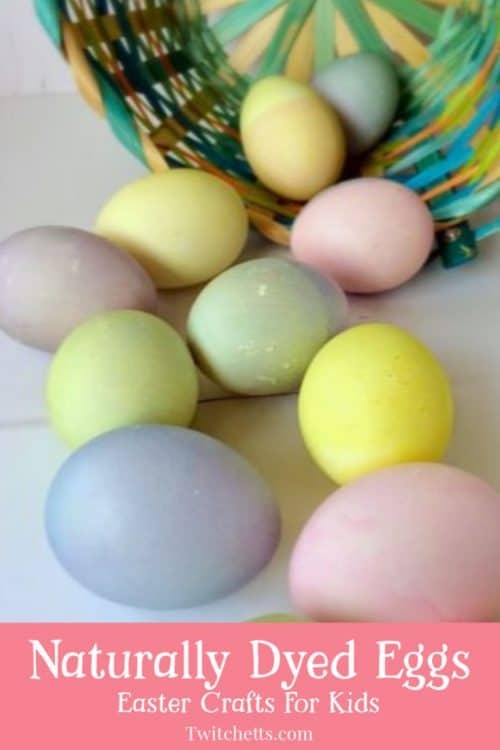 Don’t forget to pin these Easter egg decorating tips to your Easter Pinterest board! 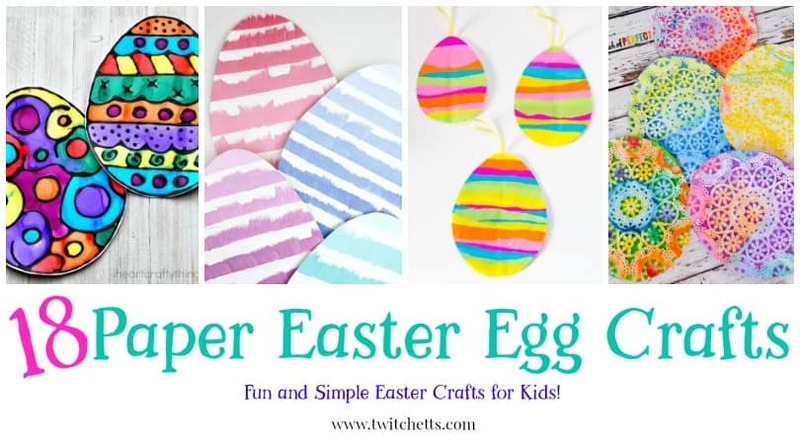 If you love this Easter craft for kids, you’ll love these!